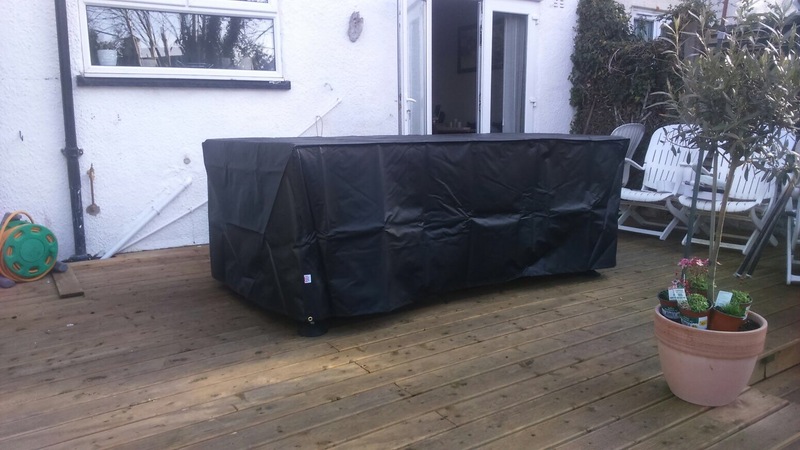 The All Weather Outdoor Pool Table Cover is specifically made and designed for Outdoor use. 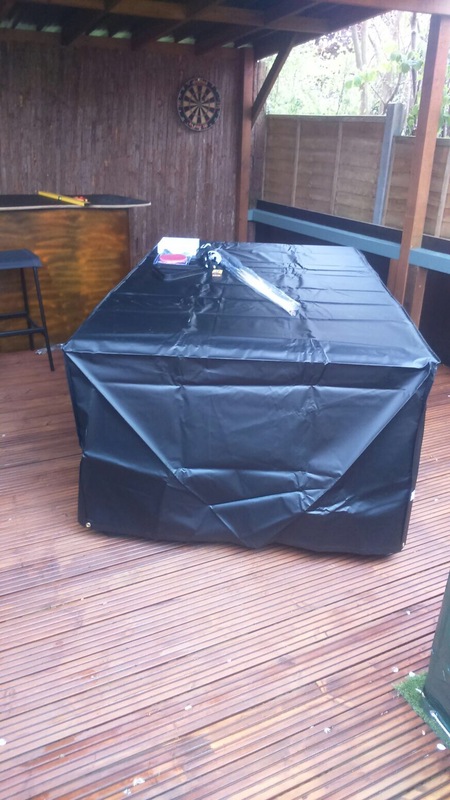 It is a top quality heavy duty cover for 7ft x 4ft Pool Table’s. 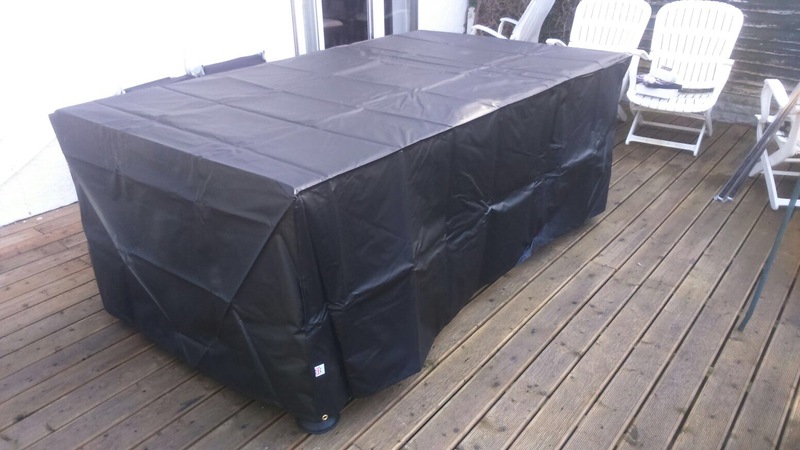 We use this cover on our own Outdoor Pool Table’s and have done for many year’s. It is fully water proof and therefor will protect your Pool Table and cloth for many years. It covers the complete table and covers to approximately a few inches off the floor. This allows air to flow. At the bottom there is draw strings to tighten the cover.